At Happy Hands, we understand the importance of your shop window and beyond including a clean, fresh retail environment as part of the customer and staff experience. We also understand that we need to be able to provide a flexible service that works around today’s demanding retail environment. In short, we work with you minimising disruption. We provide services across the retail spectrum including individual shops, department stores through to the entire shopping mall. 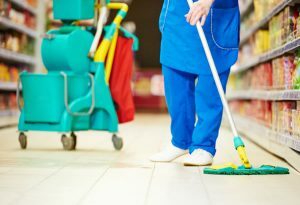 We can work with you to develop a cleaning programme that reflects seasonal changes and fluctuating patterns of footfall that will impact your retail cleaning needs. Our services are all provided by fully trained and vetted teams – who really do have ‘Happy Hands’. Our retail cleaning service is available 24/7 – we can provide consumables and perform janitorial tasks.